You’re sure to get your fill of savings with this deal from Applebee’s. For a limited time, the neighborhood grill is serving up an All-You-Can-Eat option — served with endless fries and coleslaw, too! 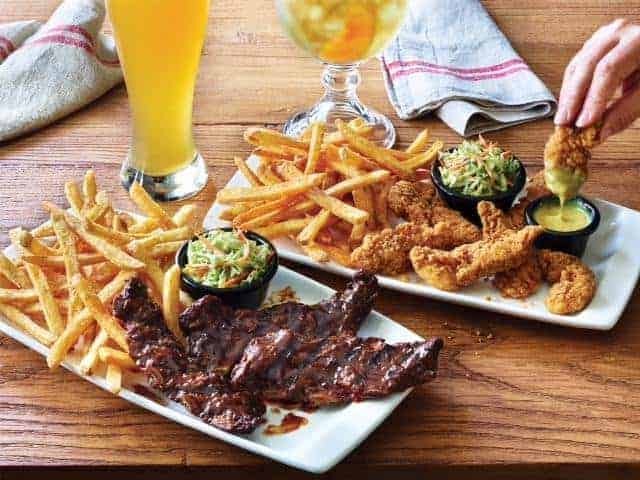 Bargain hunters with an empty stomach can enjoy all-you-can-eat riblets, chicken tenders and double crunch shrimp for just $14.99 at participating locations. And, even better, you don’t need to just pick one, unless that’s all you want. You have the option of mixing-and-matching all three options. Refills are not full plates, just smaller portions. However, it is all you can eat, so you’re not being shortchanged. If you’re still hungry, just order more. Even though it’s a great deal, remember, pace yourself and don’t overeat.